Sophisticated, minimal, yet inventive, Chinese ceramics from the Song Dynasty are often considered the foremost expression of ceramic art in the world. Less extravagant compared to their predecessor and successor, Song ceramics are known for their straightforward shapes and subtly hued glazes. 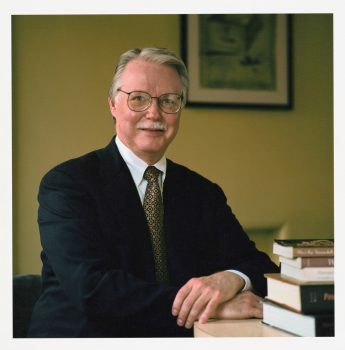 Among the foremost scholars of Asian art is Robert Mowry, an expert on Song ceramics, who recently retired after more than 25 years as a senior curator at the Harvard Art Museums. 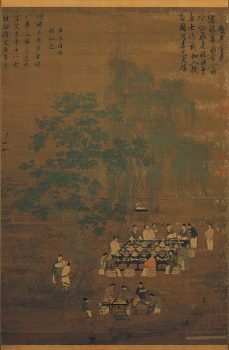 He was also head of the department of Asian Art at Harvard, and the university’s Alan J. Dworsky Curator of Chinese Art. Mowry’s devotion to Song ceramics as a lifelong career is the result of a remarkable journey. Characterized by unwavering dedication and strokes of serendipity, his journey spans from medieval France to Goryeo Korea, before finally arriving in Song China. Surprisingly, studying art hadn’t always been Mowry’s path. He had no intention of pursuing a career in art when he entered college. He started studying chemistry and biology at the University of Kansas and planned to go to medical school. It was a stroke of fate that Mowry decided “out of sheer interest” to enroll in a survey course on the history of European art in his freshman year. His desire to study art solidified during a period of undergraduate study in Paris. After spending a year amid stunning museums and magnificent architectural monuments, Mowry made the decision to switch fields, pursuing a bachelor’s degree in art history, medieval humanities, and French. Initially, Mowry planned to complete his graduate studies in medieval art. However, two years spent in South Korea changed that. When President John F. Kennedy created the Peace Corps in 1961, Mowry was a high school sophomore. He was immediately fascinated. “That bold idea captivated my imagination, leading me to the decision that immediately after college I would join the Peace Corps, and indeed I did,” he said. In Korea, Mowry taught English at Seoul National University, and spent his off-time exploring the vast richness of Korean art. School vacations were spent traveling throughout the country, exploring ancient Buddhist temples and studying the famous 8th-century royal temples, such as Bulguksa and Seokguram in Gyeongju. Upon returning from Korea, Mowry began his graduate work studying European medieval art, but he quickly realized that his true interests lay in East Asian art. His first inclination was to specialize in Korean art, which he steadfastly loves to this day. However, back then it was difficult to find an American university offering even basic courses in Korean language and history, let alone a full program on the arts. Hence, Mowry came to the decision to study Chinese art. In Mowry’s early years as a curator, it was ultimately his exposure to the ceramics at the Harvard Art Museums and Boston’s Museum of Fine Arts that led him on his journey to where he is today. He was drawn to the Chinese ceramics, especially Song Dynasty ceramics and brown- and black-glazed wares. “Ceramics are some of the most complicated, most involved works of art,” Mowry said. Behind a seemingly simple-looking bowl is an intricate and complex process. The makers painstakingly mulled over a multitude of factors during the creation process—from the different types of clays and glazes, to the type of kiln and firing temperature. At the recent 2018 Asia Week New York, ceramics went on sale from the Linyushanren Collection—one of the finest and most comprehensive collections of Song Dynasty ceramics in the world. The most valuable piece of the collection is a striking, black-glazed conical bowl from the Ding kilns. “The Ding kilns mainly produced white wares. These are the rarest of the rare in Chinese ceramics because of its black glaze,” Mowry explained, when asked what made the piece so valuable. This piece sold for $4,212,500. 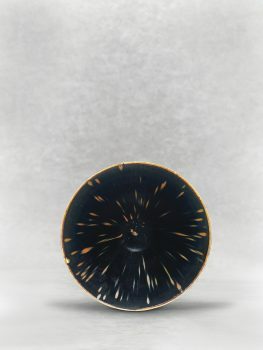 With dark-glazed ceramics, decoration is typically abstract. 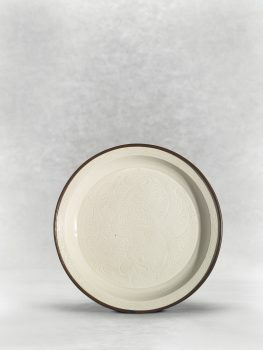 As can be seen with the conical bowl, the finest pieces have the “partridge feather” design—simple brown flecks evenly and harmoniously scattered on the surface of the glaze. “I think it’s the simplicity, the straightforwardness, and in many cases the subtlety of the wares, which gives them a very contemporary feel,” Mowry said. 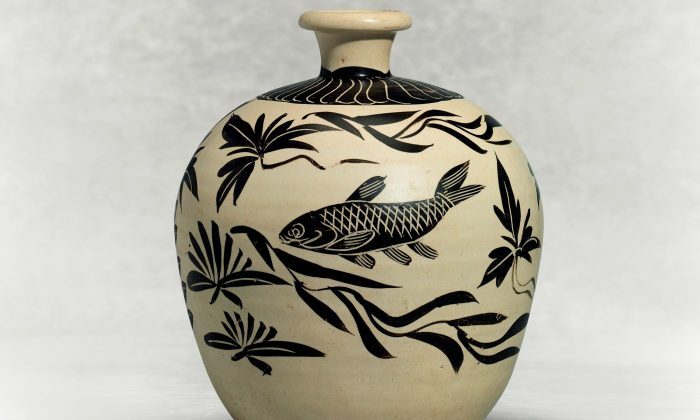 Song ceramics combine impeccable inventiveness with sophisticated aesthetics, putting them among the finest and most intricate ceramics in the world. “These are the ultimate achievement,” Mowry said, “and they still serve as inspiration for potters today.” Similarly, Mowry’s incredible journey, and his staunch dedication to Song ceramics as a lifelong career, can serve as an inspiration for us all. Reprinted with permission from Elite Lifestyle Magazine. Why Does China Like Iran Sanctions?